Product TitleGreat Value Pitted Dried Prunes, 18 Oz. Product TitleGreat Value Banana Chips, 12 Oz. Product TitleGreat Value Sweetened Dried Cranberries, 12 Oz. 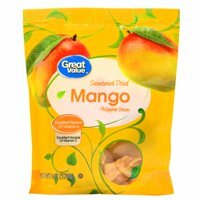 Product TitleGreat Value Dried Tropical Fruit Mix, 10 Oz. 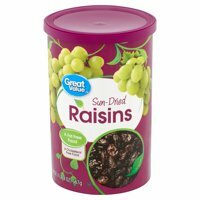 Product TitleGreat Value Sweetened Dried Cherries, 5 Oz. Product TitleGreat Value Dried Berries & Golden Raisins, 20 Oz. Product TitleGreat Value Pitted Dates Deglet Noor, 8 Oz.